Welcome to the Auk Island Restaurant! 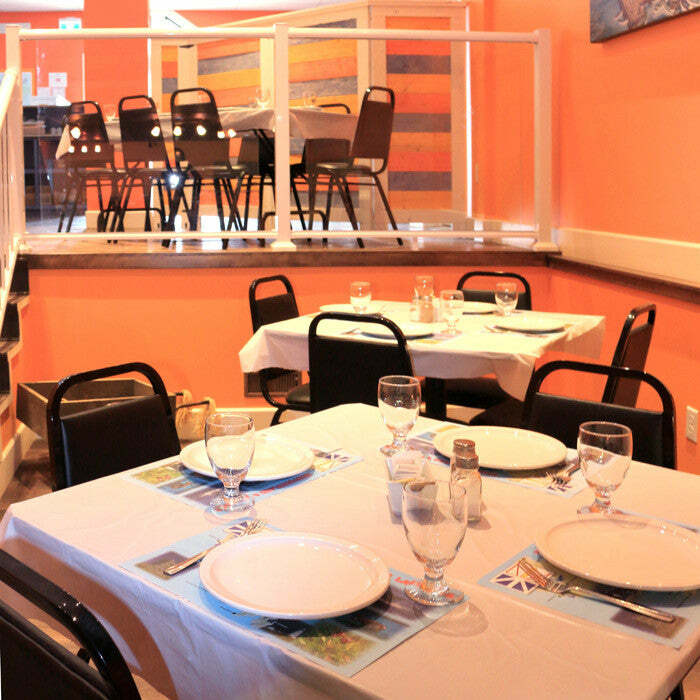 We have an impressive variety of different meals and dishes to satisfy any palette. Whether you just need a quick snack or you're ready to tuck in, our restaurant is ready to serve you! Have a look at our menu below. I'm sure you'll find something that makes your stomach grumble! Served on ciabatta bun or wrap unless otherwise noted. Seasoned ¼ pound beef patty, topped with real cheddar cheese on sesame kaiser bun, caramelized onions. 3 chicken fingers and fries. 5 chicken fingers, fries, coleslaw or macaroni salad. Homemade with cheddar cheese, creamy cheese sauce, buttery toasted bread crumb topping. Served with garlic bread. One piece battered cod fish, one homemade codfish cake, battered shrimp, our own breaded calamari, fries and coleslaw or macaroni salad. Fresh cod baked with milk, cheddar cheese, butter, flour and seasoned with salt, pepper and seasoning. Served with a dinner roll. Our customers' favourite! Fresh Newfoundland cod coated with a light tempura batter. Deep-fried to perfection. Comes with fries, coleslaw, lemon wedge and tartar sauce. Fresh Atlantic Salmon basted with olive oil, lemon juice and oregano infusion, then grilled to perfection. Served with side veg and your choice of garlic mashed potato or fries. Slow cooked, this moist, flavourful meat is thin sliced and layered between two slices of bread. Served with side veg and your choice of mashed potato or fries. Comes with fried onion, mashed potatoes or fries and slice of garlic bread. Grilled Chicken Breast - Gluten Free! For hungry kids under the age of 12. Cod Tongues - Gluten Free! Steamed Mussles -1lb - Gluten Free! Sliced deli home cooked turkey, spinach, cranberry salsa and homemade stuffing. Panini grilled . Spinach, tomato, corn, black beans and southwest sauce. Panini grilled. Cod Fish and Fries - Gluten Free! Grilled Salmon Dinner - Gluten Free! Pork Chop Dinner - Gluten Free!